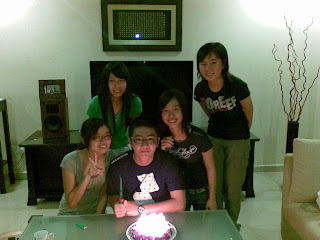 ThE pReTTiEsT SmILe: Happy birthday to u..
wanna c the pic v had taken? 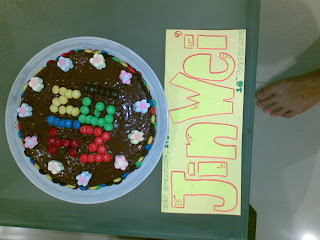 here you go..
yea.. this is Jin Wei's birthday cake.. how it looks like? 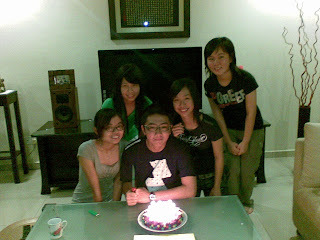 tis cake is made by eva.. hehe.. erm.. the taste.. NOT BAD ba.. hehe..
well, tis is the pic v took 2gether.. From left, eva, me, jin wei, hui shien, khai wee..